Planning To Leave Your Job? 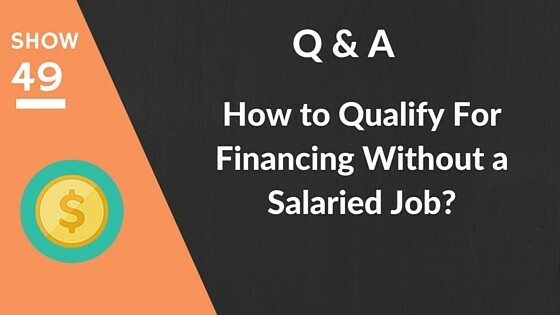 Are you in the same boat; wondering how to qualify for financing without a salaried job? Have you even thought about whether or not that can affect your ability to obtain financing? Not having a salaried job can most definitely impact whether you can or can't obtain traditional financing from a bank. This question, from our Private Facebook Group, allows Emily and Kirk to shed light on the reason why banks want to see a history of your income from your new venture before they agree to sign on the dotted line and give you money. So if leaving your job is in your near future and you are planning on buying rental properties, you NEED to tune into this show to make sure you have thought through all of your plans.